Our selection of historic birthdates in April, including William Wordsworth, King Edward IV and Isambard Kingdom Brunel (pictured above). For more historic birthdates remember to follow us on Twitter! 1 April. 1578 William Harvey, English physician and anatomist who explained the circulation of the blood. Physician to James I and Charles I. 2 April. 1914 Sir Alec Guinness, actor who won an Oscar for The Bridge over the River Kwai. 3 April. 1367 King Henry IV, first Lancastrian king of England, responsible for suppressing Glendower‘s rising in Wales and the burning of heretics. 4 April. 1823 Sir William Siemens, German-born English electrical engineer and inventor who constructed many overland and submarine telegraphs. 5 April. 1588 Thomas Hobbes, English philosopher who published Leviathan in 1651. Believed in strong government and the supremacy of the state. 6 April. 1906 Sir John Betjeman, author, broadcaster and English Poet Laureate from 1972 until his death in May 1984. 7 April. 1770 William Wordsworth, English poet whose works include Ode on the Intimations of Immortality. 8 April. 1889 Sir Adrian Boult, conductor closely associated with the works of Elgar, Vaughan Williams and Holst. 9 April. 1806 Isambard Kingdom Brunel, most influential engineer of his day whose achievements included the Clifton suspension bridge, the SS Great Britain steamship, the Great Western railway track, etc., etc., etc. 10 April. 1512 King James V of Scotland. Defeated by Henry VIII‘s forces at Solway Moss in 1542, he was succeeded by his daughter, Mary Queen of Scots. 11 April. 1770 George Canning, British Prime Minister for four months during 1827. Following his resignation as foreign secretary in 1809, he fought a duel with the Secretary of War during which Canning was wounded in the thigh. 12 April. 1941 Sir Bobby Moore, footballer and inspirational captain of England’s 1966 World Cup winning team. 13 April. 1732 Fredrick North, Earl of Guilford, British Prime Minister who introduced the Tea Act that led to the Boston Tea Party. 14 April. 1904 Sir John Gielgud, English actor, noted, nay revered, for his Shakespearean and other classical roles. 15 April. 1800 Sir James Clark Ross, Scottish explorer of the Antarctic, who discovered the north magnetic pole in 1831. 16 April. 1889 Charlie Chaplin, English-born Hollywood film actor and director, best remembered for his portrayal of a tramp in baggy trousers and a bowler hat. 17 April. 1880 Sir Leonard Woolley, archaeologist most famous for his excavation work at Ur in southern Iraq. 18 April. 1958 Malcolm Marshall, West Indian fast bowler responsible for the annihilation of many an English cricket team. 19 April. 1772 David Ricardo, London stockbroker and political economist who wrote Principles of Political Economy. 20 April. 1889 Adolf Hitler, Austrian-born housepainter and German fascist dictator, architect of, and runner-up in, World War II. 21 April. 1816 Charlotte Bronte, Yorkshire novelist, eldest of the three Bronte sisters and author of Jane Eyre, Villette and Shirley. 22 April. 1707 Henry Fielding, novelist, playwright and author of Tom Jones, Joseph Andrews and Amelia. 23 April. 1564 William Shakespeare, Stratford-upon-Avon-born playwright and poet. Died this day 1616, leaving a wife, Anne, and two daughters, Judith and Susanna. 24 April. 1906 William Joyce, ‘Lord Haw-Haw’, American-born British traitor, who made propaganda broadcasts for Germany during World War II. 25 April. 1599 Oliver (Old Warty) Cromwell, Puritan leader in the English Civil War, Lord Protector of England 1653-8. 26 April. 1894 Rudolf Hess, German Nazi leader who was Hitler’s deputy in the early part of WW II. Was imprisoned by the British after he flew to Scotland on a peace mission. 27 April. 1737 Edward Gibbon, English historian who wrote the bedside table six-volume The Decline and Fall of the Roman Empire. 28 April. 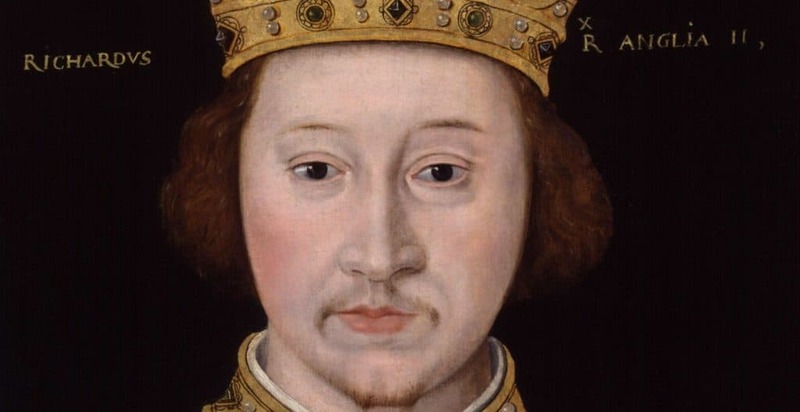 1442 Edward IV, King of England and Yorkist leader who was crowned after defeating the Lancastrians at Mortimer’s Cross and Towton in 1461. 29 April. 1895 Sir Malcolm Sargent, English conductor and chief conductor of the Sir Henry Wood Promenade Concerts (The Proms) from 1948 until his death in 1957. 30 April. 1770 David Thompson, English-born Canadian explorer who explored vast parts of western Canada.